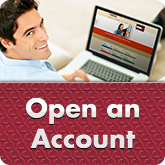 Open a Mission Federal Credit Union Savings Account with easy online access. Whether you’re looking to save for a “rainy day,” holiday expenses, your child’s future or a special occasion, a Mission Fed Savings Account can help you reach your financial goals. Plus, you can manage your Savings Account Online. When you open a Savings Account with us, you’ll benefit from competitive rates, online Savings Account access 24/7, our Mission Fed Mobile Banking App with Mobile Deposit and no monthly usage fees or minimum balance requirements. Compare Mission Fed’s Savings Account options in the chart below to find the right one for you. Earn dividends on any balance. Youth Savings video on YouTube - Description: The speaker is a Mission Federal Credit Union employee and is standing in a Mission Fed branch. Throughout the entire video, they address the camera directly. Please use the YouTube captions functionality to access an alternative to the audio portion of the video. After that, you can begin saving money for whatever you need! Whether you open your account online using the button above, over the phone or in person at any of our branches, we’re here to help make the process as fast and simple as possible. Make an appointment to open a Savings Account in person. Choose the time and place that’s convenient for you with our easy online reservation system. Mission Fed Checking and Savings Accounts are important for personal financial management and have different purposes. Checking Accounts are great for covering general expenses because you can use them as much as you want for your daily transactions; however, for saving, they are not ideal because they traditionally offer lower dividend rates and, depending on the type of account, may have fees. While a Savings Account is meant to help you save money, you can make up to 6 preauthorized or automatic transfers and/or withdrawals a month from your Savings Account by Online Banking, telephone or electronic services. Why open a Savings Account? Mission Fed Savings Accounts have no monthly fees and pay dividends on your balance. Because a Savings Account offers a higher return on your savings, it’s easier to earn as you let your money build up. Additionally, because you won’t be withdrawing money from your Savings Account daily like you would a Checking Account, it’s less likely that you’ll accidentally eat into your savings with this separate account. Finally, a Savings Account is a great way to reach a financial goal, helping you make deposit goals so you can watch your money grow. Depositing or transferring money into a Savings Account helps you earmark money for special occasions or goals. In fact, Mission Fed Savings Accounts have great features that help you save, including the ability to categorize your savings and add savings goals. You can set money aside for future Home Loan payments, create an emergency fund or save for an upcoming vacation getaway. And, because we want you to be able to access your funds when you need to, you can manage your online Savings Account anytime day or night with Online Banking and our Mobile Banking App. Who should have a Savings Account? If you’re interested in saving money, it’s worthwhile to have a Savings Account, and if you want online Savings Account access, open an account at Mission Fed. 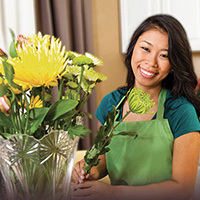 We offer a Savings Account that’s right for your needs. Whether you’re saving for college, saving for the holidays or are working towards your first Home Loan down payment, we have an account for you. 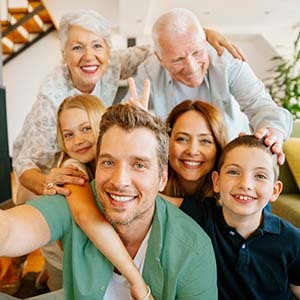 We even offer the option of having up to seven Standard Savings Accounts so you can have multiple accounts with unique names and purposes. We want to help you achieve your financial milestones, which we call Mission Fed Moments, and our Savings Accounts can help you reach them. 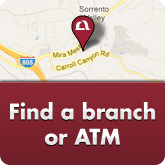 Why choose Mission Federal Credit Union for a San Diego Savings Account? If you live, work or go to school in San Diego County, you’re eligible to apply for a Savings Account at Mission Fed, where you’ll find competitive rates, convenient access and excellent customer service from our knowledgeable employees. Whether you’re saving up for a trip, a special occasion or a down payment for your first home in San Diego, open a Savings Account with us to earn more on the money you save. We can assist you in choosing the right credit union Savings Account. Plus, if you’re looking for online Savings Account access, consider it mission accomplished. Mission Fed’s Savings Accounts all offer free, convenient access in Mobile Banking, Online Banking, over the phone and in-person at any of our 31 branches. 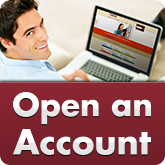 Apply to open an account online today, or make an appointment to stop by any Mission Fed branch. 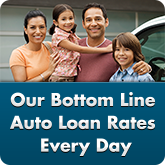 Your success is our bottom line, and that includes helping you save. Opening a Standard Savings Account at Mission Fed is a great way to get started. You can deposit as little as $1 to start, with no monthly fee, while earning competitive rates. Plus, you can open more than one Standard Savings Account if you want to save for multiple purposes. Save money for a special event or time of year with a Mission Fed Summer or Holiday Saver Account. These Savings Accounts offer higher dividend rates than our Standard Savings Accounts and are limited to one account per member. The initial deposit is $20-$500. The monthly transfer amount is $20-$500. It is important to start saving young, and a Youth Savings Account is a great way to do that for members ages 17 and younger. 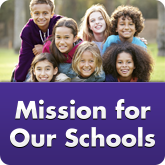 Mission Fed gives you the option to set up Youth Savings Accounts as joint accounts with a parent or legal guardian. Teens ages 16 and 17 can open a Youth Savings Account without a cosigner if they have a valid government-issued ID. The initial deposit is only $1. A Savings Account allows you to separate money you’d like to save from money you need available for everyday purchases. Additionally, because Mission Federal Credit Union Savings Accounts pay interest on your balance, you’ll earn money on whatever you’re able to save. A Savings Account is similar to a standard Checking Account, though you can earn interest on savings and enjoy additional benefits depending on the kind of Savings Account you choose and the amount you’re able to save. How many Savings Accounts should I have? At Mission Fed, we offer a variety of San Diego Savings Accounts so you can choose the right account for your needs. We offer the option of opening up to seven Standard Savings Accounts, so you can have multiple accounts with unique names and savings goals. What are the benefits of a Savings Account? Open a Savings Account with Mission Fed and you’ll enjoy earning dividends on your savings balance with no monthly fees, so it’s easier to save. You’ll earn interest on the money you save and, since your savings are separate from your Checking Account, you won’t be tempted to dip into your savings for day-to-day costs. Do Savings Accounts earn interest? They do! At Mission Fed, Standard and Youth Savings Accounts earn 0.10 percent interest, while Summer and Holiday Saver Accounts earn between 0.25 and 0.50 percent, depending on whether you opt for Direct Deposit or not. Why would you put money into a Savings Account? You should save money to reach your goals like buying a new phone, car or saving for a down payment. A Savings Account helps you keep your savings separate from money you intend to spend on daily expenses and bills. This helps prevent you from accidentally dipping into money you meant to save, as well as allowing you to earn more interest on the growing balance in your credit union Savings Account. Experts recommend saving between 10 and 30 percent of your income each month. You should be saving enough that you’re aware you can’t spend freely at all times, without making things feel uncomfortably tight. Use Mobile or Online Banking to easily transfer funds into your Savings Account, or set up a Direct Deposit right from your paycheck so you don’t even have to think about it. How do I save for big expenses? Wondering how to save money for a house or a new vehicle? Make sure you plan ahead and budget for big expenses. Whether you need to know how to save money for a car, a new home or a big trip, planning ahead is key so you can save over time without going into debt. Set up unique Savings Accounts for big expenses so you won’t spend the money on other things. Finally, take advantage of cash gifts, bonuses or other situations in which you get money you hadn’t counted on and put that money directly into your Savings Account to build your balance quickly. If you find yourself surprised by a sudden expense, these are the situations in which you’ll be happy you built up an emergency fund. Learn More About Savings Accounts with These Great Blog Posts! Infographic: How Much Should I Be Saving How can you make the most of your Savings Account? Find out what rules you can follow to help save enough for emergencies, retirement and other financial goals. Determine what percentage of your income you should put into your Savings Account each month for good, better and best savings. Open a Savings Account today to accomplish your savings goals. The Importance of a Savings Account for Rainy Day Situations. A solid rainy day fund is perhaps one of the most important tools in developing and sustaining financial security. However you decide to save, just remember that no matter how well things are going, it’s always a smart idea to be prepared for anything that may happen in the future. Four Goals You’ll Definitely Love Saving Up for in the Long Run: A Savings Account allows you to keep track of your long-term savings goals. Find out what goals you may have overlooked, and what other Mission Fed Savings Accounts we offer to assist you in reaching those goals. We love helping our members with their Mission Fed Moments, and a credit union Savings Account can get you there faster. Ways to Discuss Money with Your Kids: Opening a Savings Account with online access is a great way to start discussing money with your kids. You can open a Savings Account online for your child at any time. Whether they’re a toddler or teenager, they can learn how to save money, with Mission Fed ready to assist them along the way. Teach them about financial security and smart spending and saving with a Savings Account from Mission Fed. What Are You Saving For? If you have a clear idea of what you’re saving for, it’s easier to motivate yourself to put money aside and watch your savings build. You’ll also have an easier time choosing and setting up the right credit union Savings Account to help you reach your financial goals. Read about why you might want to save and which Savings Accounts are best for your needs. If you’re not sure about which Savings Account you should use, Mission Fed can help! 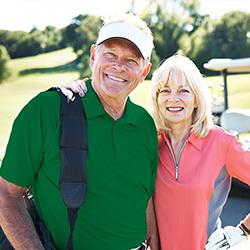 Invest in your future—Mission Fed has great rates for Certificates: 2.40% APY for 16 months with the option to bump your rate once during the term on a Regular or IRA Certificate for new and existing funds. Save money with an IRA Account here at Mission Fed. Save money with an IRA Account here at Mission Fed. We offer Traditional, Roth and SEP plans. A Money Market Account or High Yield Money Market gives you higher rates than a Savings Account with more liquidity than a Certificate Account. Check with Mission Fed to see what works best for your savings goals.